I came across a picture posted by an FB friend not too long ago. 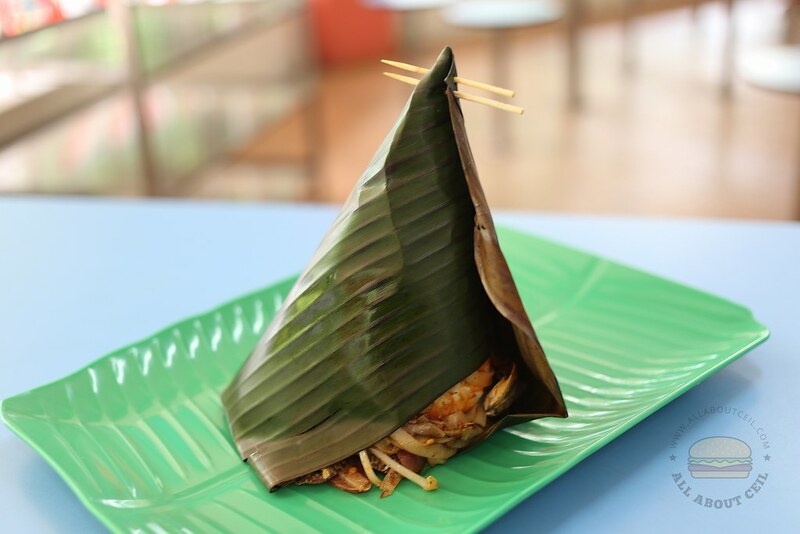 It showed the Penang Fried Kway Teow wrapping in banana leaf in the shape of a cone, it is by a new stall in Golden Mile Food Centre. I was not particularly looking for this stall but wanted to eat Hainanese Curry Rice and it just happened this stall is just next to it. I changed my mind at that point in time and decided to try the Ah Gong Penang Fried Kway Teow. There are the $3 and the $5 portion which I decided to go with the big portion. 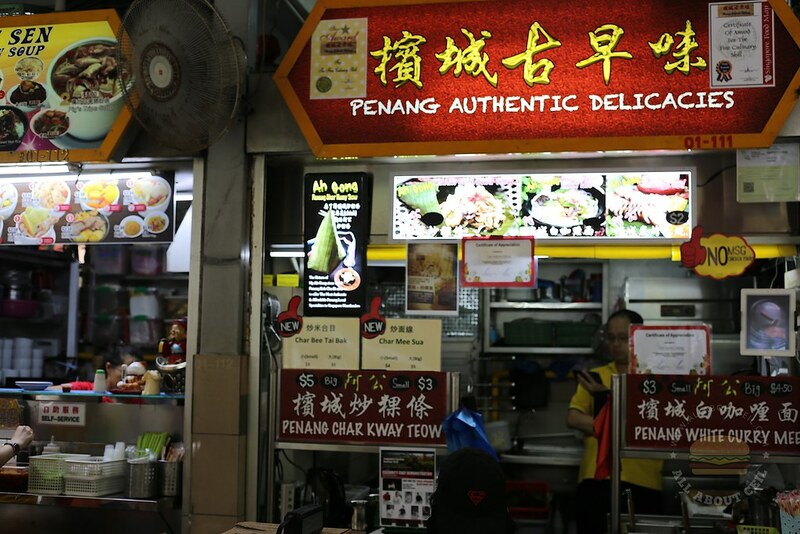 They do serve Penang White Curry ($3/$4.50), Fried Mee Tai Mak ($3/$5) and also Fried Mee Sua ($3/$5). The lady that took my order, said, "Go, take a seat." 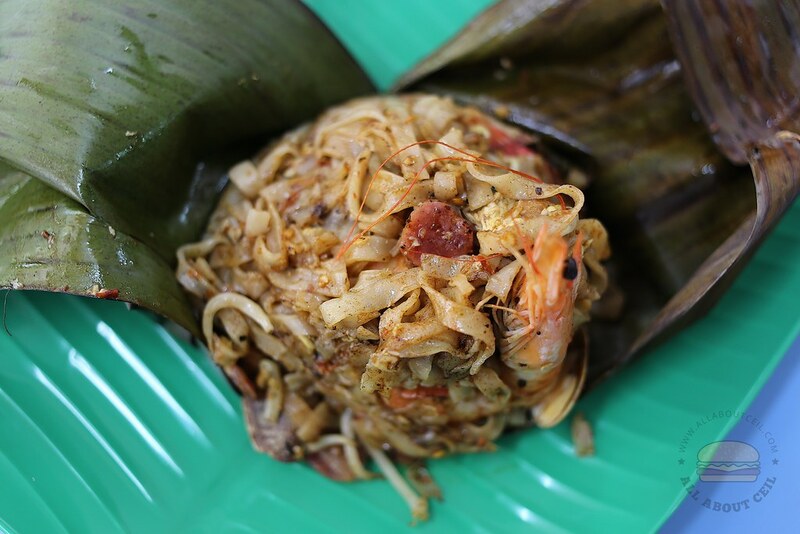 I asked, "Why did you choose to wrap it in the banana leaf? Is this a practice over in Penang? The lady replied, "This method and the recipe are passed down from our Ah Gong (Grandpa). He served it in this way to better preserve its aromatic flavor." Then, I asked, "Are you from Penang? "She said, "No. Not me. My husband is from Penang though." It was ready in less than 5 minutes as I was the only customer at that time. The lady handed it to me and said, "Thank you." 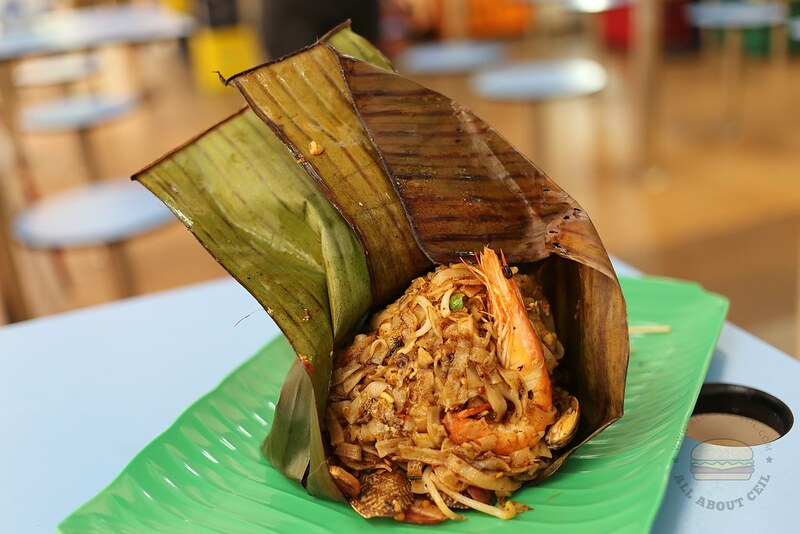 I have traveled to Penang quite a few times but never come across such a method in presenting the Fried Kway Teow there. I slowly unwrapped it by moving the 2 toothpicks that were used to hold the banana leaf together. I was greeted with a nice smoky flavor. The thin flat rice noodles were stir-fried with prawns, clams, roasted meat, Chinese sausage, fish cake and a handful of bean sprouts for a textural contrast. They actually made an effort to peel the prawns leaving only the head and tail part. It definitely requires the right ingredients coupled with the correct techniques to stir-fry a plate of fried kway teow at high heat for a charred taste. And, this might not be the best that I have tasted but it was actually better than most of the others in Singapore. It was savory, moist and drier in texture, not oily too. I requested to have an extra amount of chill added for a spicier flavor. I was about to go Jurong West to eat the Penang one. So this one better then Jurong West? Tong Ji has closed. Quiting the business. The one at Jurong West, the Penang one. Oh, it slipped my mind. What a waste then. Which one at Jurong West is good? Can I have the address/shop name? That stall has closed, not sure whether it is due to the fire or for good. Hi, do you know the opening days and times at this stall? Hate to o all the way there to find it closed. Sorry. I have forgotten to ask.